March 7th, 2019 | Home and Lifestyle, Moving Tips. 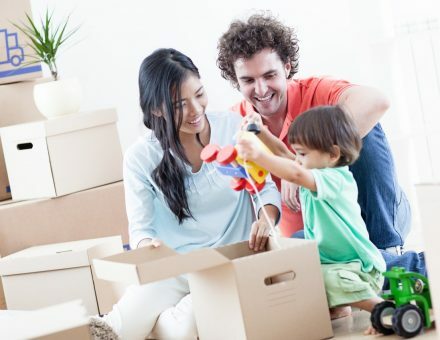 Moving is always a monumental task, but you might find the move even more challenging when you have kids or other family members who will move with you. Moving with children means more gear, more clothing, more equipment, and more juggling for time. Packing, moving day, and settling into your new home all become a little more complicated. Don’t be daunted by a move that involves children. Follow these guidelines to help make the move go as smoothly as possible. With some preparation, you can make the transition to your new home a positive memory. Don’t make the mistake of tackling all moving preparations by yourself. Normally, people use moving as a reason to downsize. They go through storage areas and closets with the intention of reducing their belongings and assessing what they need to keep. Your children can be involved in this process so that this is not all on you. Have children go through their own toys and clothing. You can give guidelines to make the process simple for them. For example, you might tell your child that only four stuffed animals can come with you when you move. Your child must choose which to keep and give away. This way, you reduce your workload by getting your children to assist in downsizing, but you also help to prepare them for the change by involving them in the process of packing and planning. Call school districts a few months before you move. This way, you can get a feeling for teachers, schools, and class sizes, as well as changes that you might need to prepare your kids for. Some schools districts even have resources for new families that can be helpful to you. Update medical information before you leave. You will need a new pediatrician when you move, but you can get school physicals and update vaccine records before you move so you don’t scramble to find a provider in your new area. You can find a new doctor without any stress if you’ve updated everything before you move. Request referrals from current teachers. If you have a child in music, dance, or private sports lessons, contact their teachers or coaches about the move. You might be able to get referrals for new professionals and get your kids registered for lessons before you even move. Once you have your child signed up for new classes and registered at new schools, you can get in contact with teachers and even other families in the area. You can access calendars of school events to factor into your future plans. The more contacts you make, the more people you will have as resources as you take time to settle in. Family life brings extra stuff to a move. If you have young children, you have more boxes of things like baby clothes that you are waiting for your child to grow into or that you are saving for your next child. You also have items like swings, seats, strollers, bikes, and outdoor play equipment that you wouldn’t normally have to worry about in a move. The clutter of this extra gear only adds stress to your move. 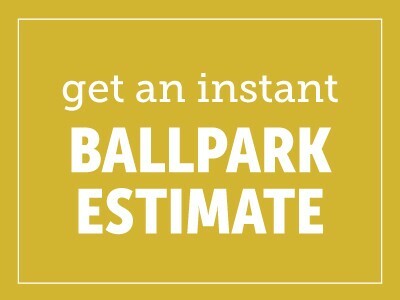 Talk to your moving company about short-term storage solutions. You might decide to pack some kids’ gear into a pod storage container to ship to your new house. You might decide to use short-term storage and move items there in order to free up space at home until moving day. Temporary storage can be your salvation when you move with kids. You can keep items in storage as long as you need to — even after moving. This way, you can gradually unpack boxes without the mess that can come with moving in. Finally, you might consider hiring help. Plenty of people hire movers for moving day, but moving companies can provide so much more than simply muscle on moving day. For example, the time you take to arrange for school transfers and doctor visits cuts into your time for packing boxes. Professional packers can handle packing up children’s clothing and toys, fragile kitchenware, and a shoe closet that always seems to be bursting at the seams. Packing takes a huge amount of time, especially when you try to provide care and stability for children during a stressful change. When you pack professionally, you lose and break fewer things, and professionals efficiently pack and label your boxes so they are easy to unpack once you reach your new home. You can also hire childcare services on the day of the move so you don’t have to worry about children getting lost, injured, or underfoot during the actual move-out and move-in process. Your move doesn’t have to stress your family out. For more information, contact us at Bekins Van Lines.